The beautiful game is about Mario, who cooks the food for his beloved Princess peach. Mario, like a real Italian who wants to make the Princess a delicious noodles. He will share with you a recipe lapsi, and you will help him to make it quick and tasty. How to be good that you learn how to cook noodles along with Mario! 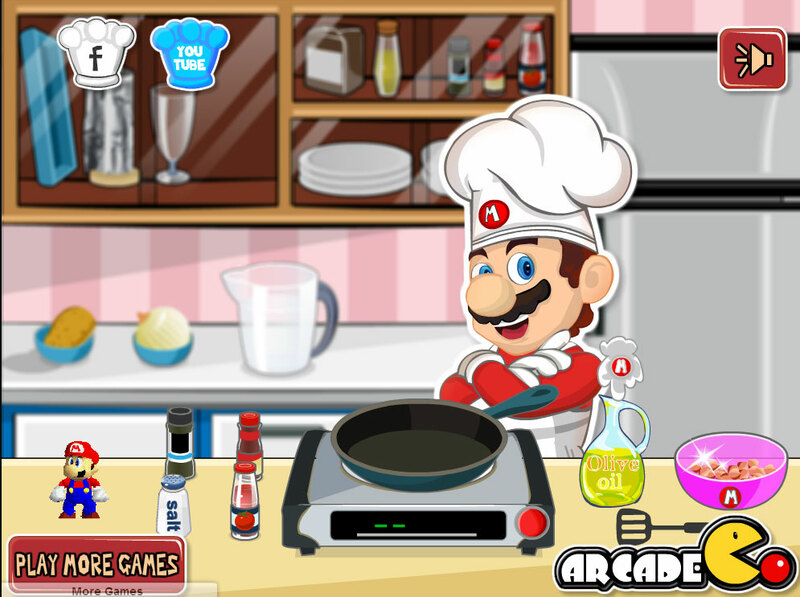 How to play: in this game, Mario will cook for a beautiful Princess who wanted to try the famous Italian noodles. Use the mouse and hints in the game, so it's easy to guess what to do next. Surely after this game, you will want to try to cook the noodles for my mom! Played: 44865. Added: 5-01-2016, 18:59. Mario cooking game for girls.